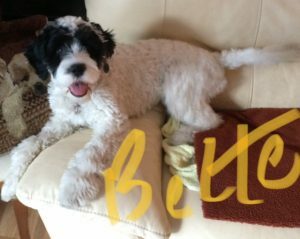 Bette is 4 months old and active and loves people. She likes the dog park nearby and likes to go for walks on the Lachine Canal. She plays and romps on the snow and even enjoys the rain and is very tolerant to cold weather.Bette truly enjoys the warm water at the cottage. 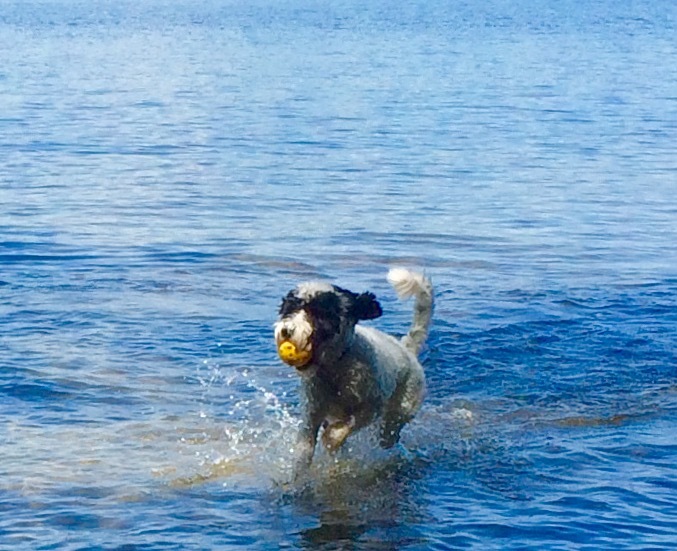 She swims further each day and retrieved a dead perch from the lake last week. She has neighbour friends that she plays with and has an ability to fetch and distinguish different toys….smart puppy You are doing an amazing job and keep up the good work.